Get the information you need quickly and easily from the large, backlit graphic LCD display; informative display shows pH/mV/RmV and temperature, along with electrode status, time, date, sample ID, user ID and calibration points. Advanced features such as stability and averaging provide additional options allowing for laboratory accuracy everywhere you need it. -Meter has plain language screen prompts, soft keys that update for easy selection and a multi-language interface that supports English, Spanish, French, Italian, German and Chinese. -An indicator alerts user when readings are stable and the Thermo Scientific™ AUTO-READ™ feature locks in a stable reading on your screen while timed reading function gathers data in specific time intervals. 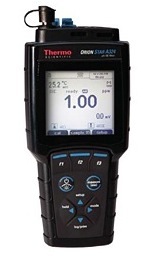 -Meter provides up to five point pH calibration with automatic recognition for USA/NIST and DIN buffers. -Meter offers up to five point ISE calibration with advanced features such as timed endpoint, linear point-to-point, nonlinear selectable auto-blank and low-concentration range stability. -User can fix pH calibration errors without a complete recalibration with calibration editing. -Nonvolatile memory holds up to 5,000 data points with time and date stamp. -USB and RS232 ports and complimentary data analysis software allows user to easily transfer data and keep meter software up-to-date. -Four AA batteries (included) provide more than 800 hours of operation; purchase the universal power adapter (sold separately) to use on AC power. -Meter is perfectly portable, waterproof and protected to take anywhere with a IP67-rated housing. Silver / Sulfide (Ag+/S2-) ionplus Design Ion Selective Electrode. BNC. Ionplus Sure-Flow solid state combination U.S. Std. and BNC electrodes have 1m cables. Refill with Solution #900061 (See Below). Solution prevents dilution of electrode filling solution and ensures proper storage conditions for your pH electrode to extend its working life. Storage Solution, 475 mL Bottle. 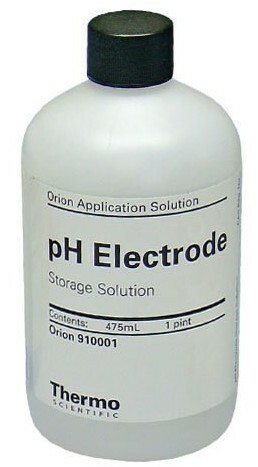 For all pH electrodes. 420 mV Standard. 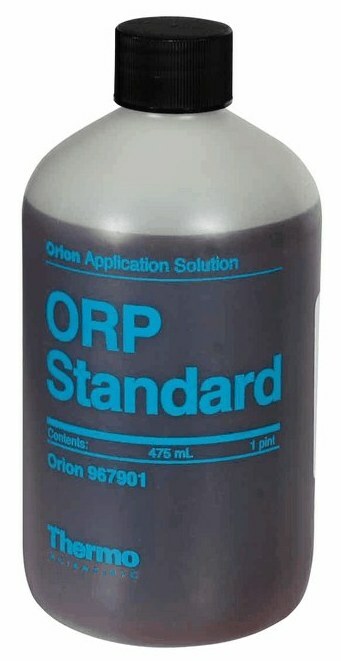 For use with Orion 91-79 and 91-80 electrodes. 475 ml Bottle. Stable for up to one year (unopened).